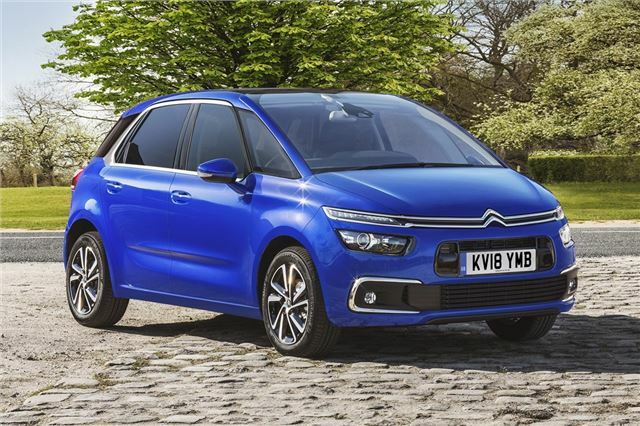 New name for C4 Picasso but with same practical and flexible interior. Available with excellent Puretech petrol engine. Citroen may have dropped the Picasso name for its C4 MPV range (we're still not completely sure why...) and replaced it with SpaceTourer, but is this more than just a rebranding exercise? Well, it did at least coincide with a mid-life facelift for the C4 Picasso which brought new engines and gearboxes, as well as styling tweaks. Will everyone still refer to this as a C4 Picasso? More than likely yes, but then the C4 Picasso was a practical and spacious family car when it was launched in 2013 and those strengths remain at its core. Citroen says its MPVs "benefit from Citroen's know-how in terms of space, practicality and well-being," and that's certainly the case with the C4 SpaceTourer. While it's not the newest design on the market, it still feels fresh inside with a good quality and nicely designed interior which is ageing well. But it's the space and comfort which it offers which makes the C4 SpaceTourer a more practical alternative to the ubiquitous SUV. And it's full of useful features such as rearview mirror for the back seats (handy for keeping an eye on the kids) and flexible back seats that can fold and flip to create more carrying space. As you'd expect of a Citroen, it's the comfort which stands out. It's hardly what you'd describe as dynamic, but then what MPV is? And that said, it handles reassuringly well, it's just a car that's at its best when driven in a more relaxed manner. But it's the smooth ride that makes this such a good family car. As well as the exterior facelift, the C4 SpaceTourer comes with a 2.0 BlueHDi 160PS diesel paired with the latest EAT8 automatic gearbox. There's also a new safety pack on top-spec Flair models that includes a driver attention alert, speed sign recognition and active safety brake. The C4 SpaceTourer is comfortable, has loads of room and is easy to drive with lots of glass meaning good all round visibility. And if you're not doing big mileages, the PureTech petrol engines are impressive (albeit not overly ecomomical). It may not be an SUV or crossover, but the C4 SpaceTourer makes a lot of sense for families.